When developing software, speed is one of the most important attributes. We always want to get faster feedback in order to deliver changes to our users as fast as possible. Speed is paramount, especially in larger teams. Having to wait for build results is a waste of time. As build time goes up, productivity goes down. That’s why we introduced Parallel Test Pipelines for Codeship a few weeks ago. With this feature you can create multiple testing pipelines and therefore make your build time up to 20x faster. Every test pipeline will be executed in a separate virtual machine and they will not interfere with each other. How does it work for you? By simply splitting up your test commands and running them on several machines at the same time, you get massive speed improvements. You can learn how to get started in our Parallel Test Pipelines documentation. Since we introduced Parallel Test Pipelines on the 12th of February, hundreds of our biggest customers are using it. They are able to test faster and ship more often than ever before. Of course they shared their joy about speeding up their test suite. 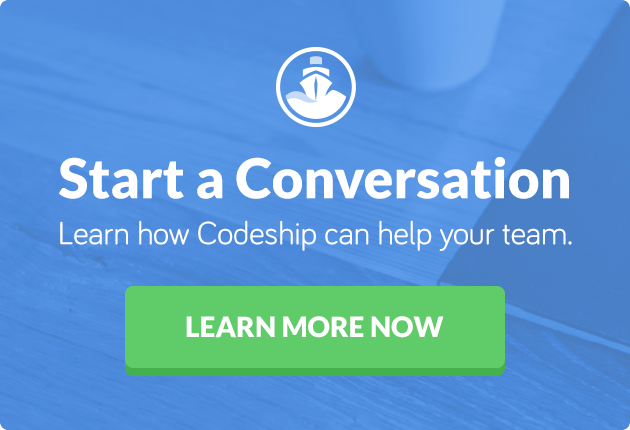 @codeship We’re LOVING the ParallelCI feature here @promoboxx. Builds down to 4 mins from 20. You guys rock! As of today, everyone can experience the full power of Parallel Test Pipelines. Just go ahead and start your 14-day trial for Parallel Test Pipelines. Build your project faster than ever. See for yourself how much time you save by running your tests in parallel. Check out the video below to see how it works. Choose up to 20 pipelines to get a tremendous speed increase for your build time. During the trial period we will track the average build time of your master branch before and during your trial. So you can easily see how much time you can save for every build. After the trial you will get downgraded to your current plan, so there’s no reason not to give it a try. Check out the Parallel Test Pipelines documentation for more information about Parallel Test Pipelines and the trial. Speed up your build time now and get started with your Parallel Test Pipelines trial today.